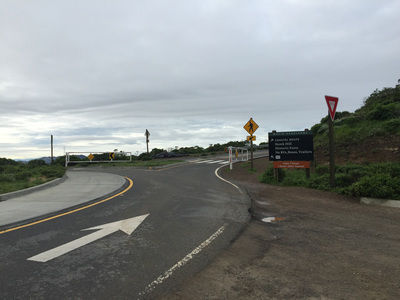 Parking: Free (small) parking lot at the address above (to the right of the roundabout). You can also park at one of the lookout areas further down the street. 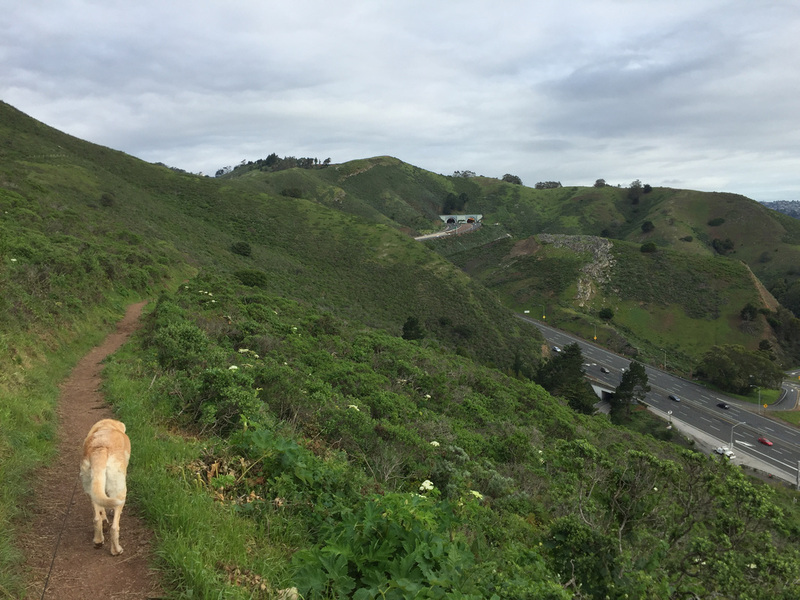 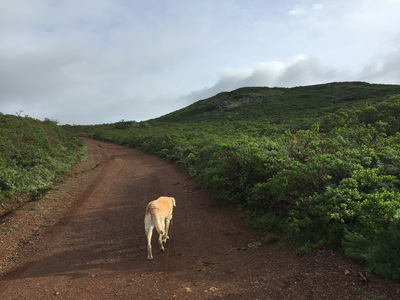 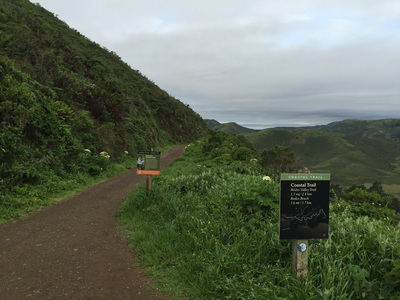 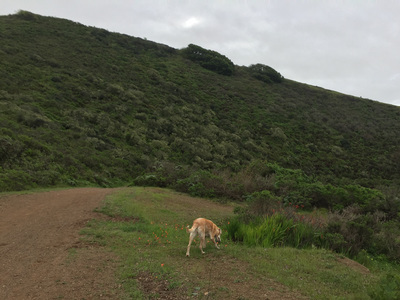 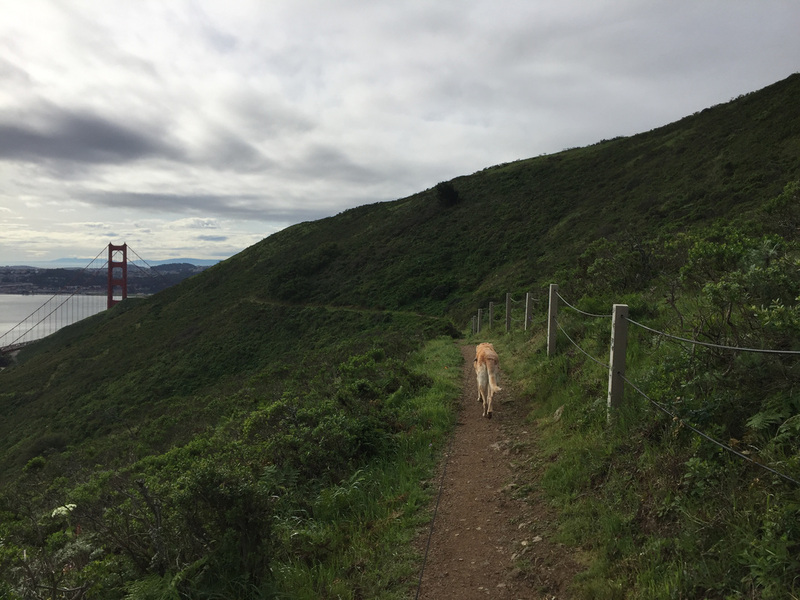 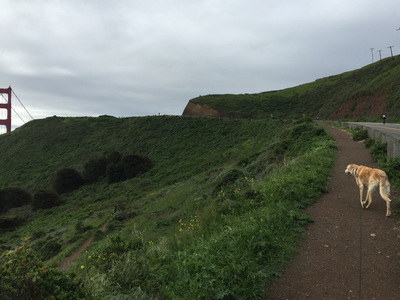 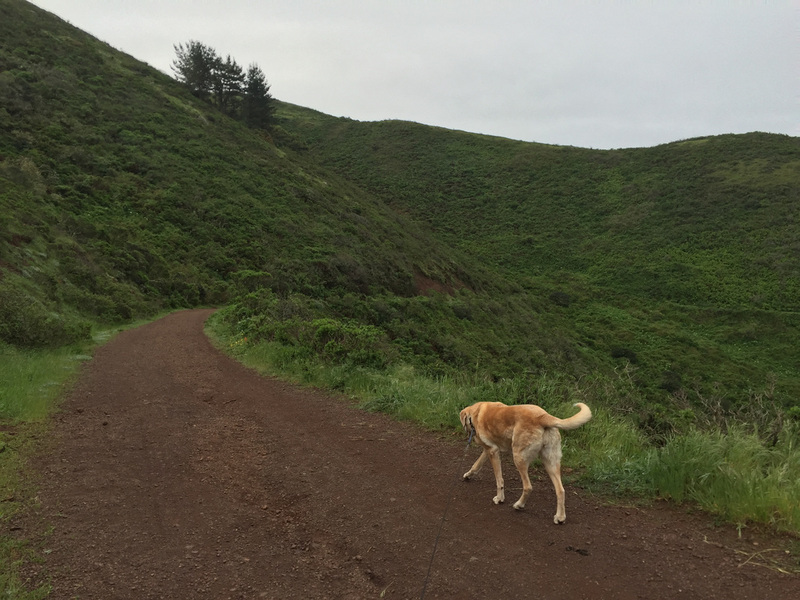 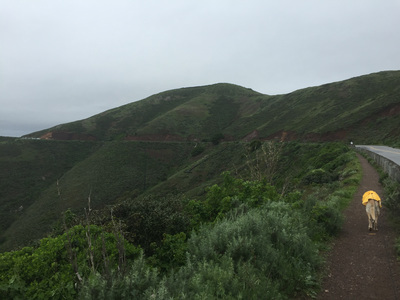 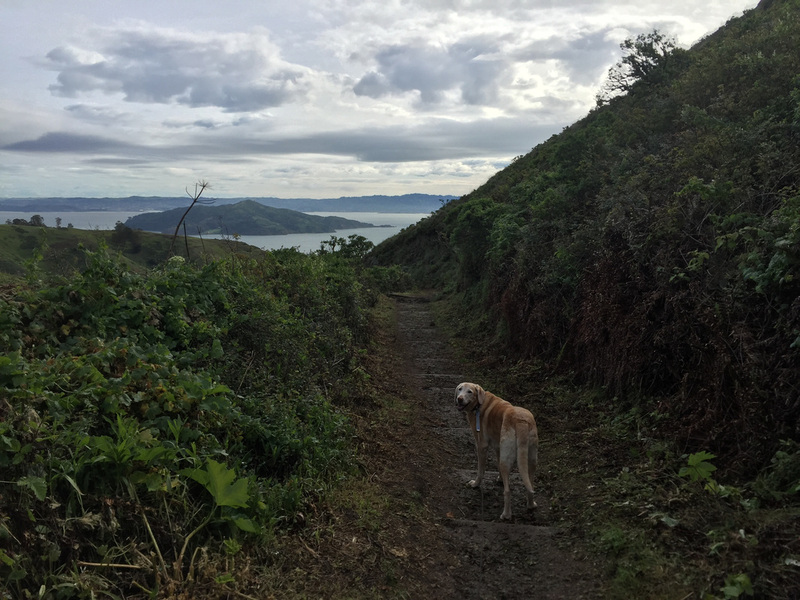 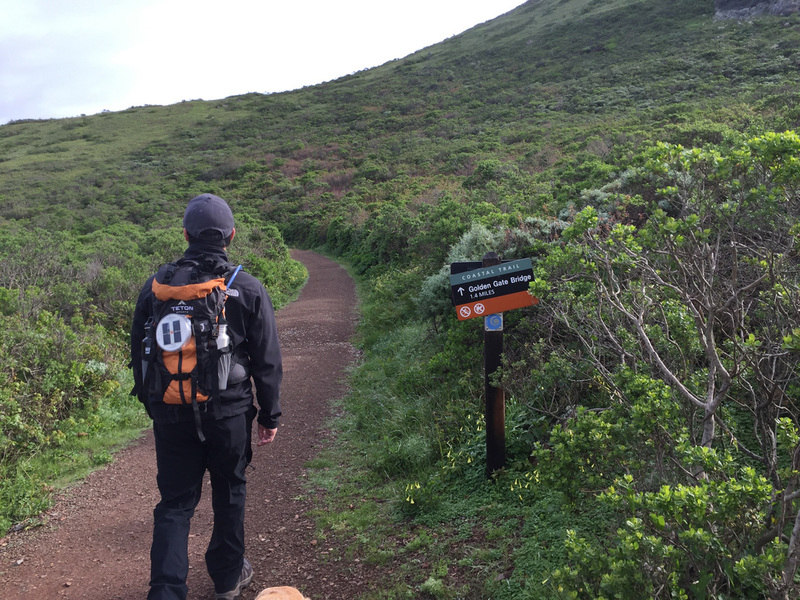 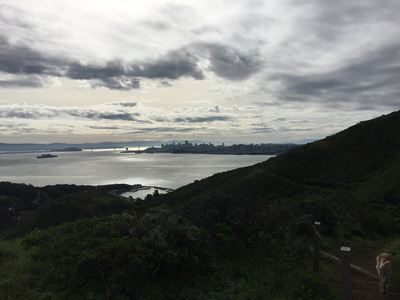 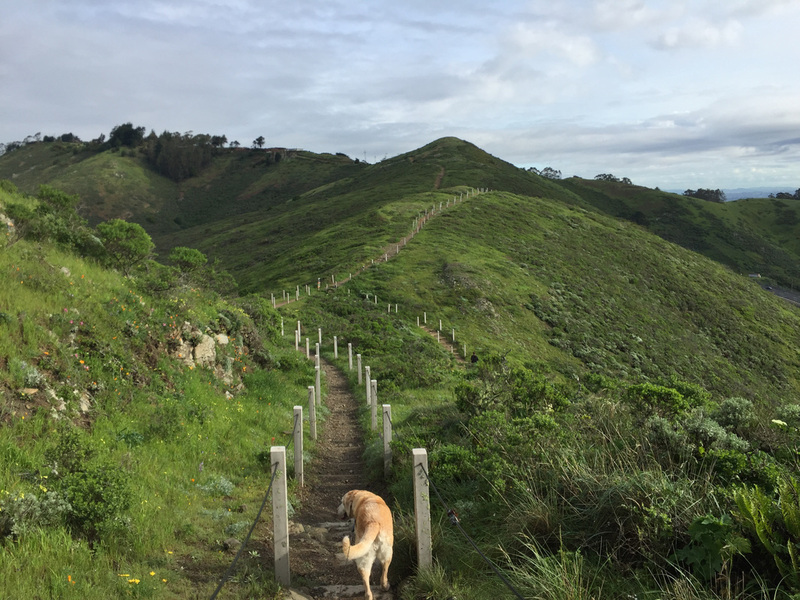 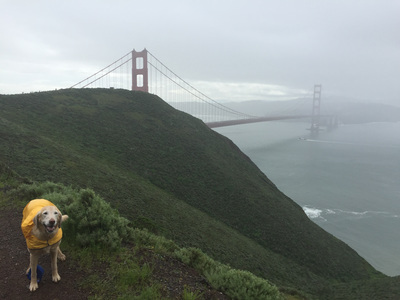 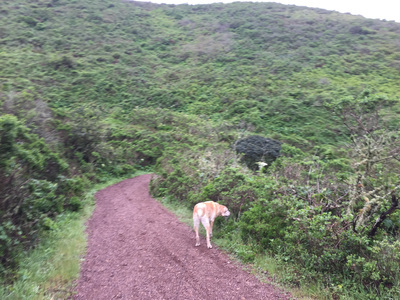 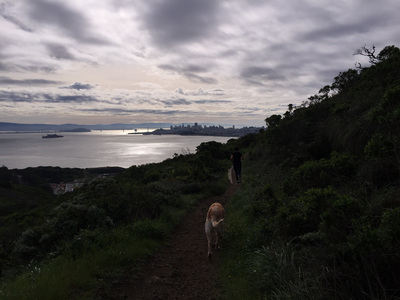 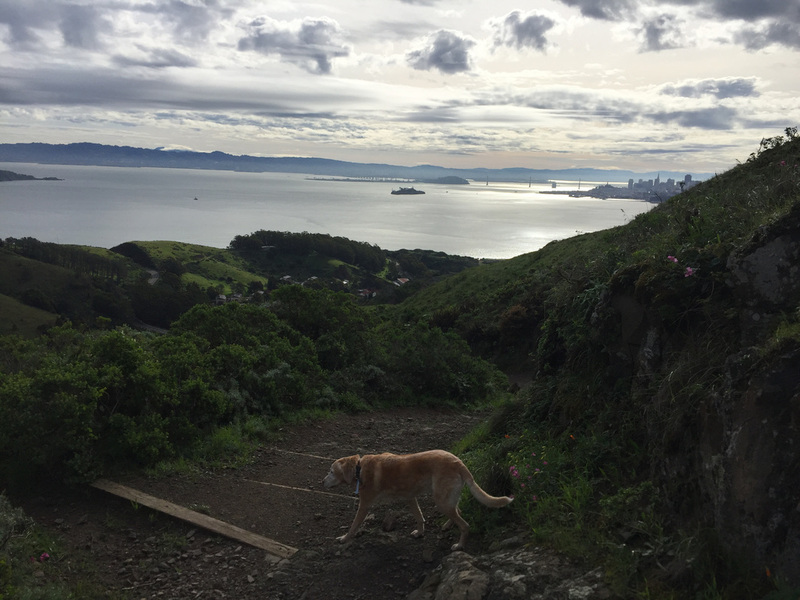 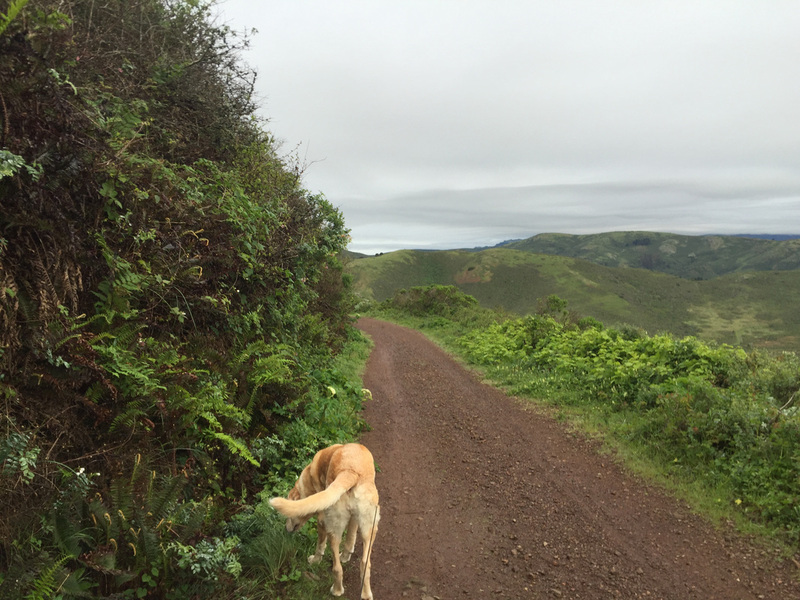 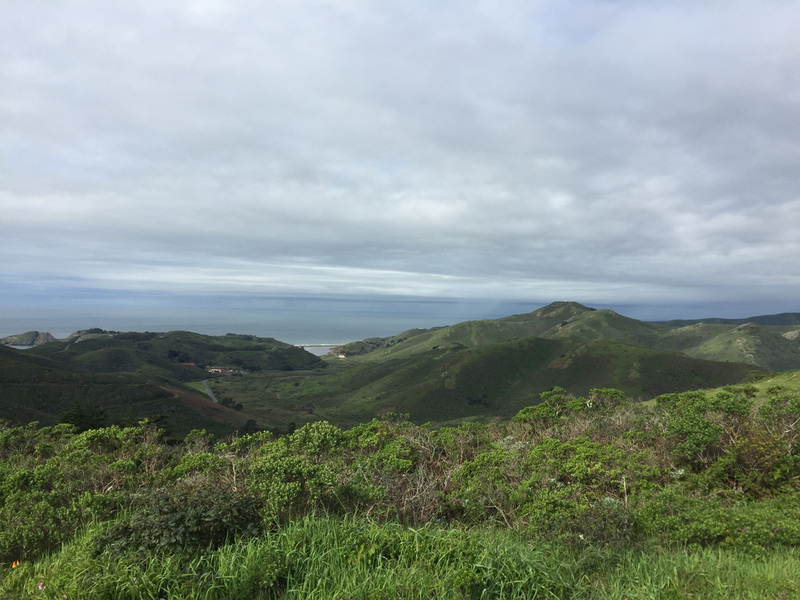 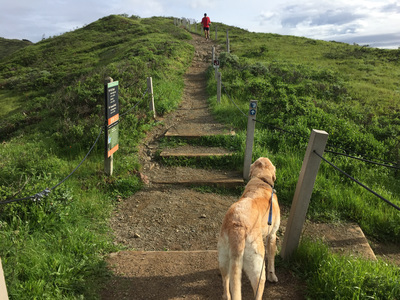 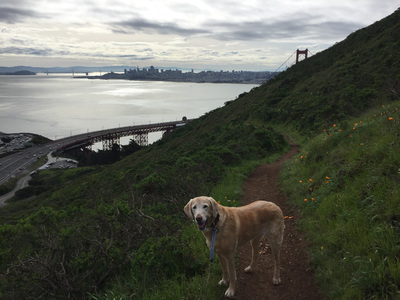 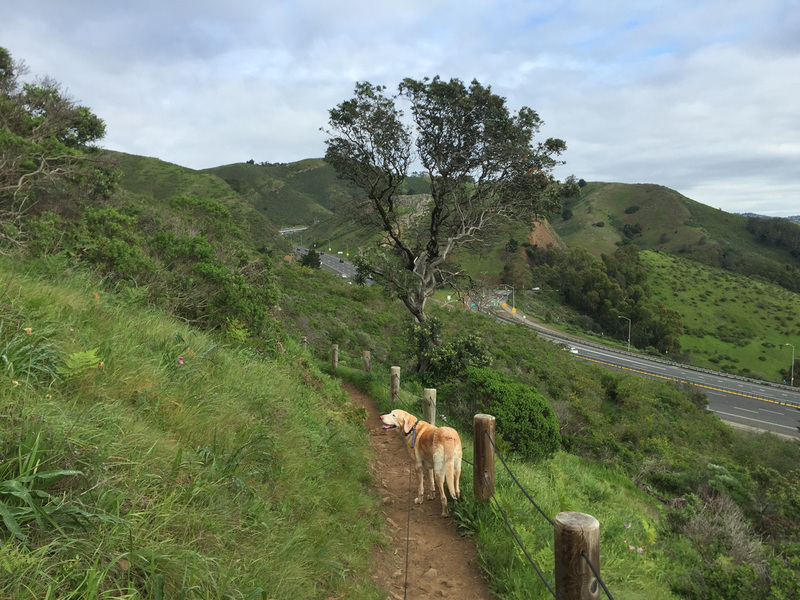 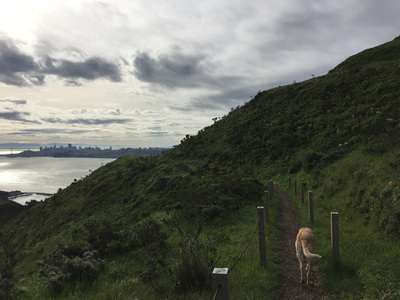 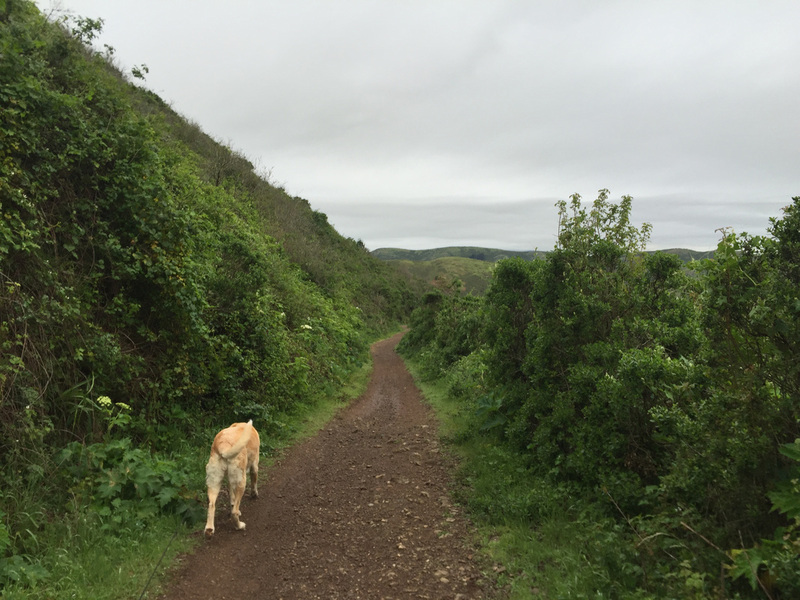 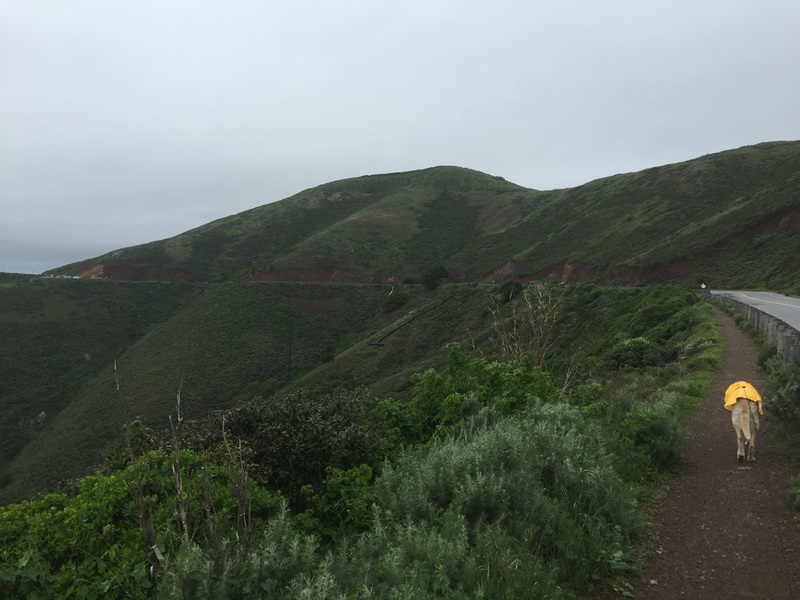 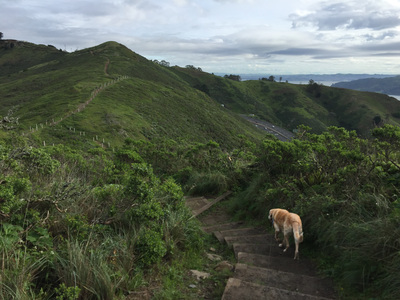 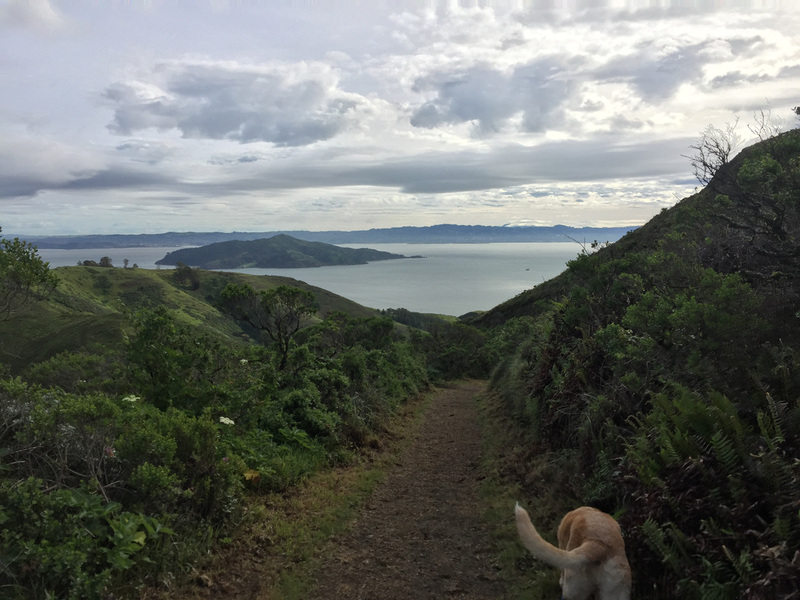 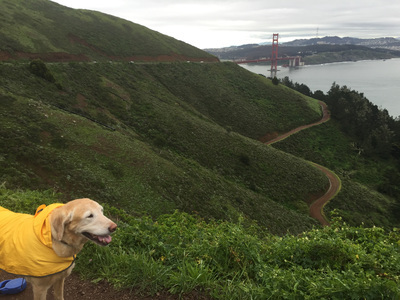 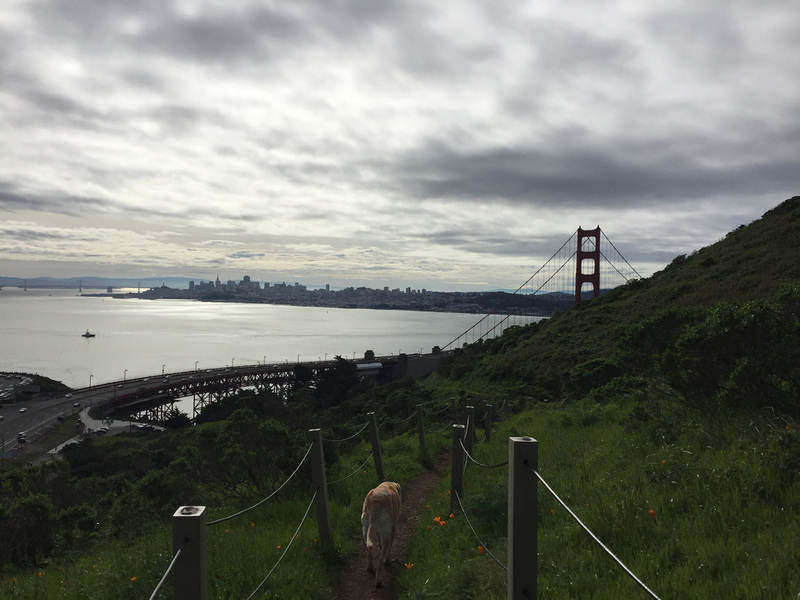 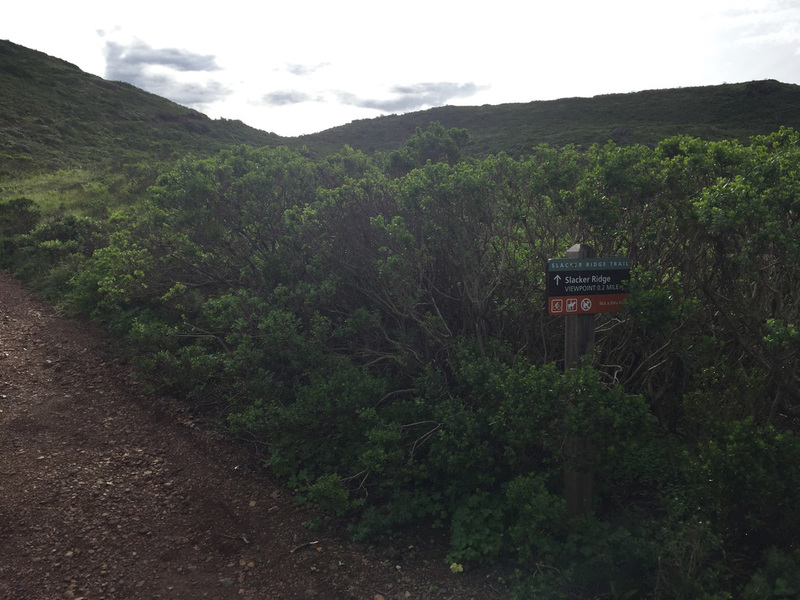 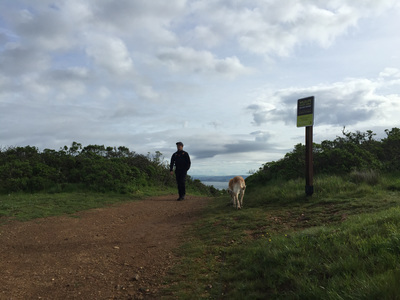 Description: There are only a few dog-friendly hiking trails in the Marin Headlands, but it’s definitely worth a trip for the stunning views. 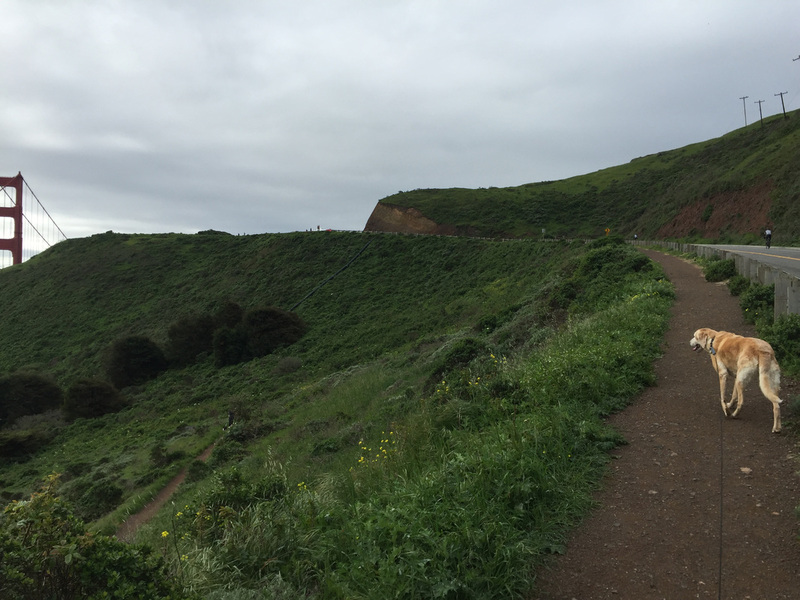 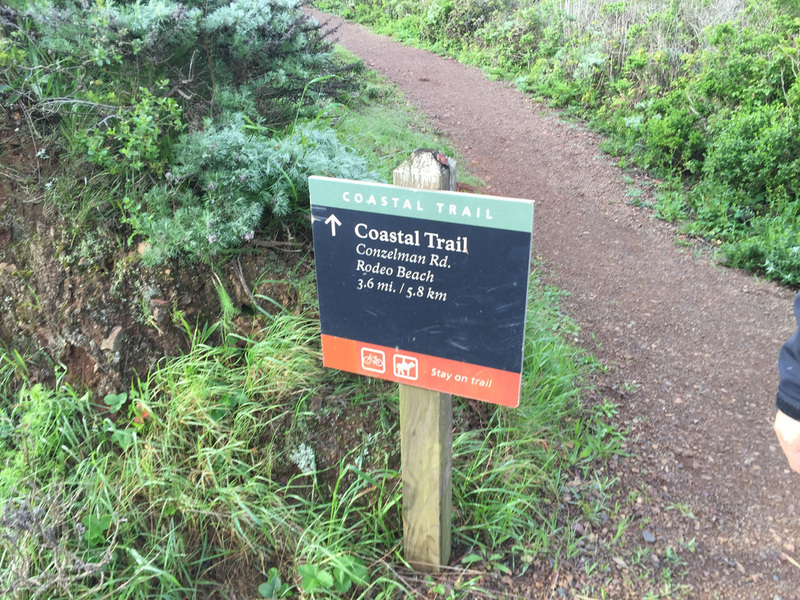 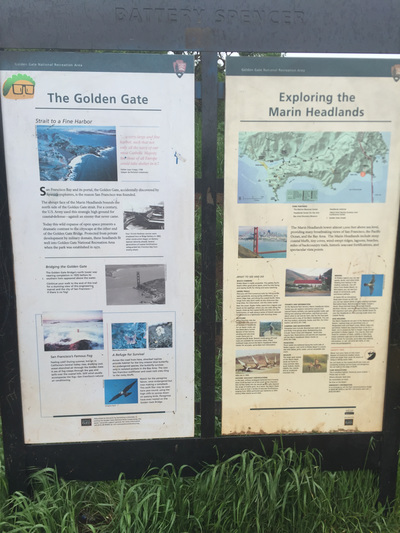 We hiked most of the Coastal Trail above the Golden Gate Bridge, which circles around Slacker Hill. 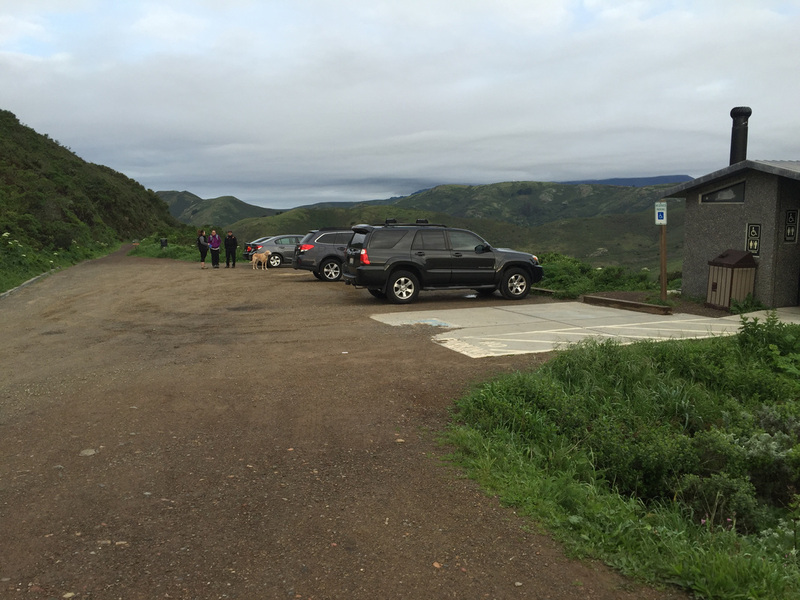 From the parking area, take the trail behind the restroom, and soon you will have to cross the street. You will see a gated fire road, and behind this, the steep trail climbs up a few hundred feet. 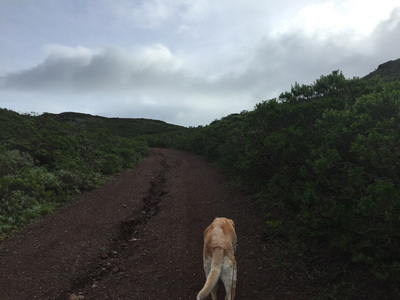 Turn around for beautiful ocean views. 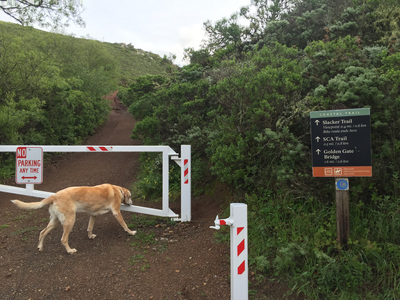 Soon you will see a fork with an option for Slacker Ridge. Unfortunately this trail is not dog-friendly. Continue on the Coastal Trail, which climbs up higher and then takes you down along the hillside. 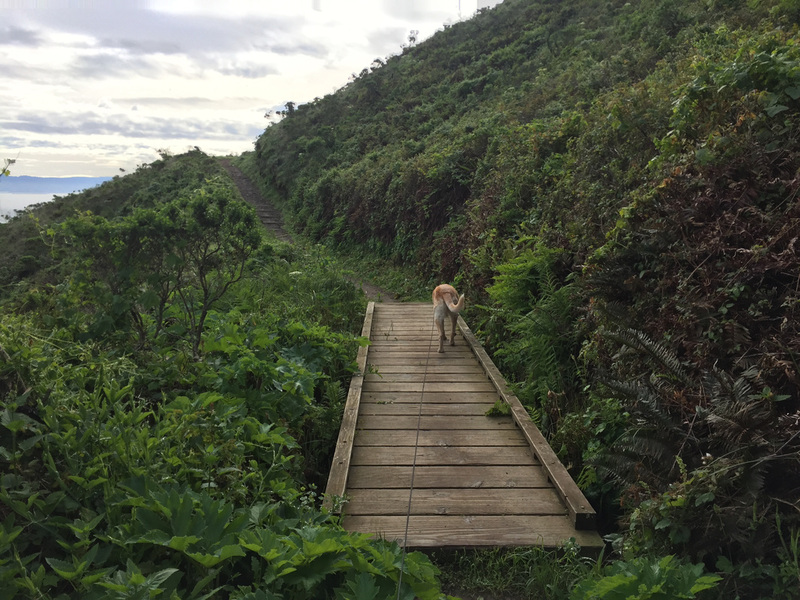 There are a few stairs and wooden bridges, and some of the trail has railings. 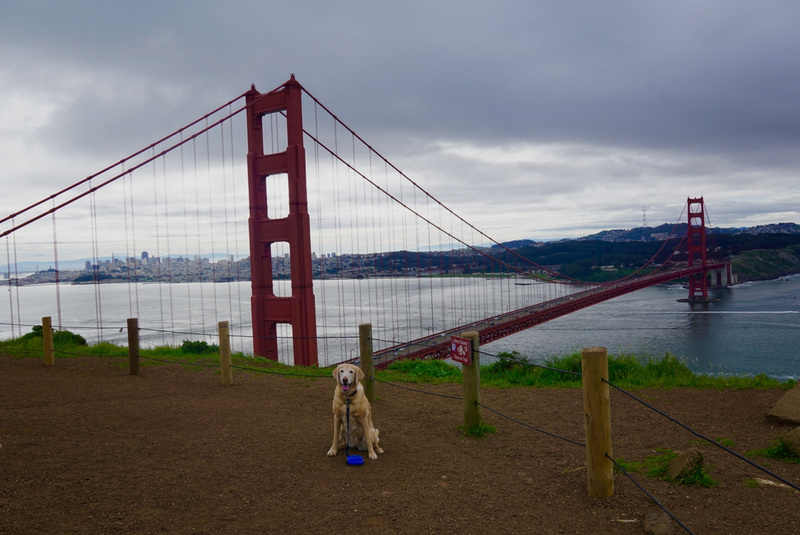 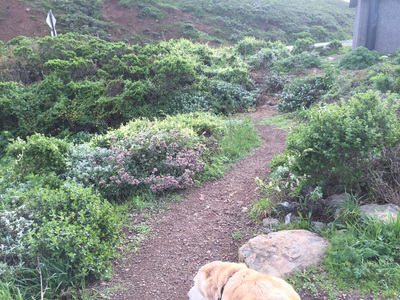 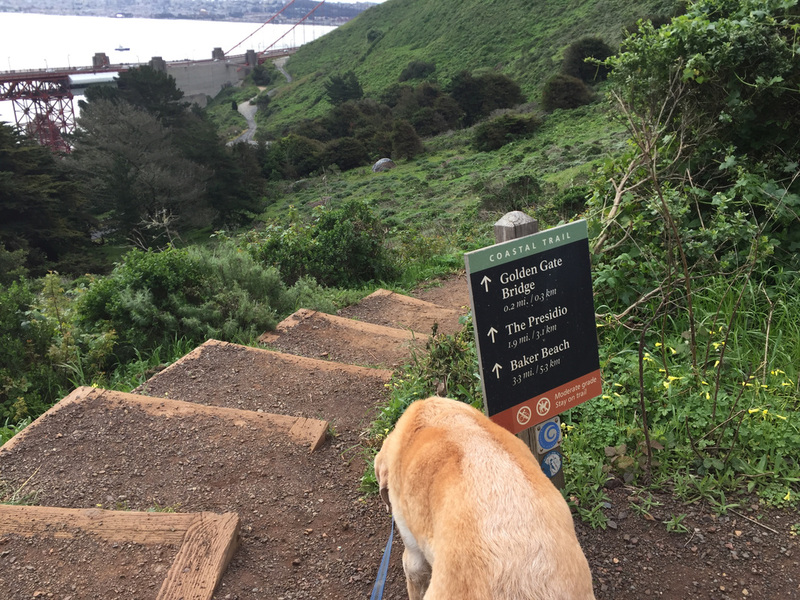 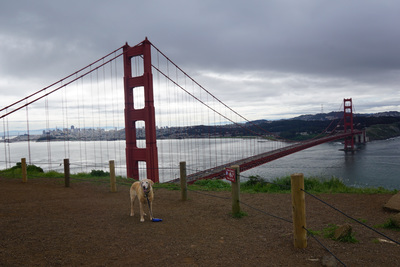 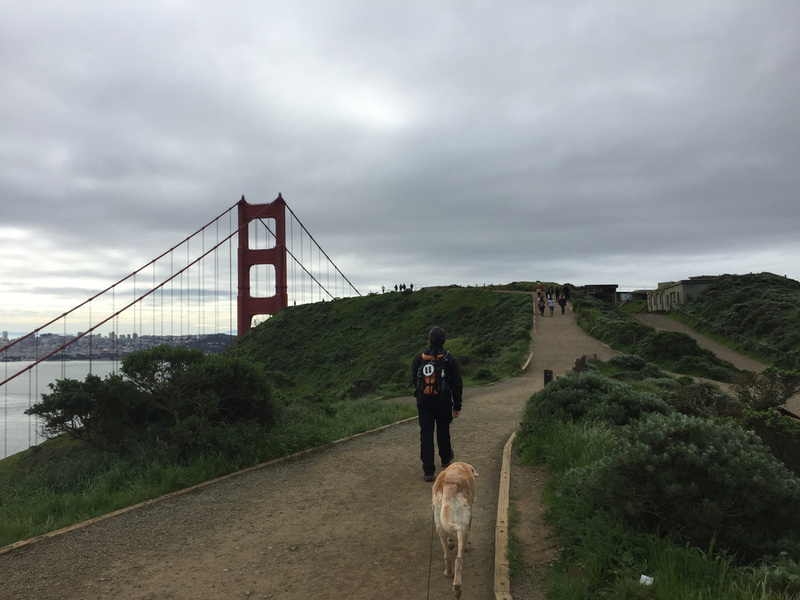 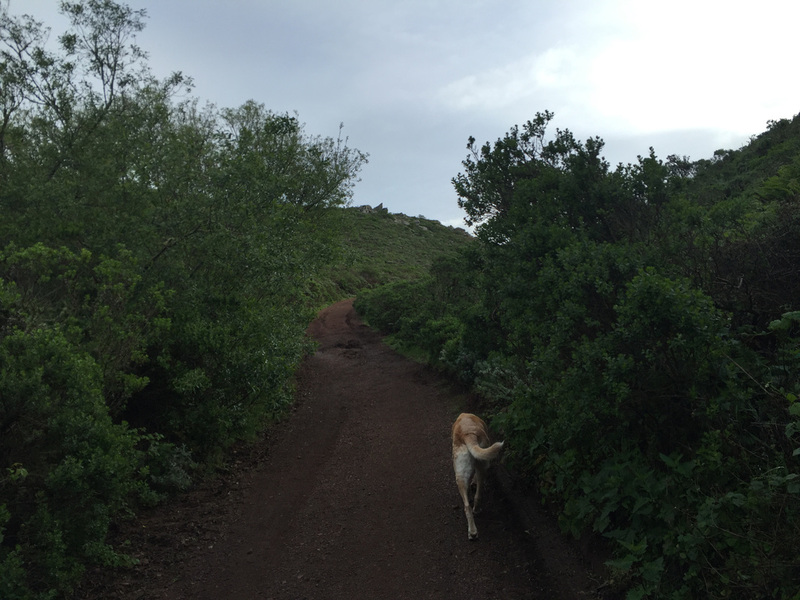 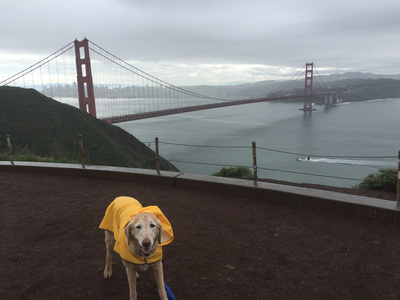 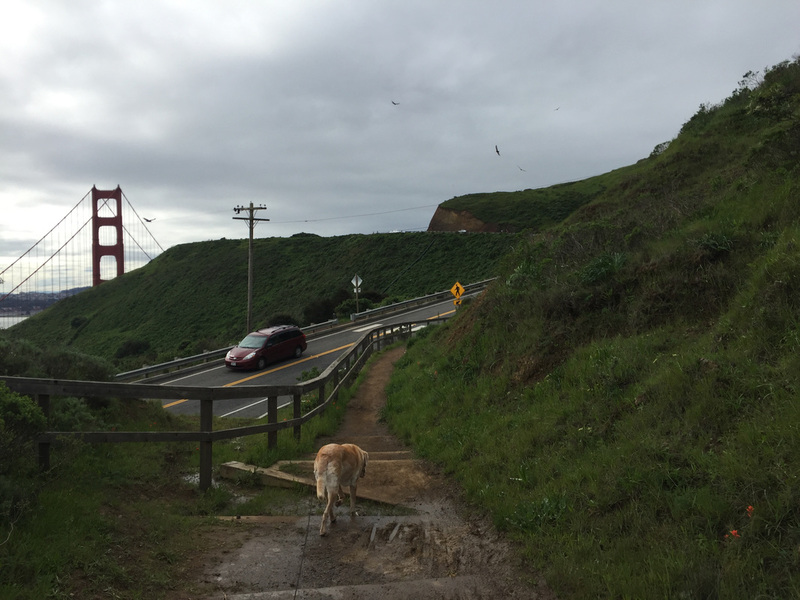 When the trail splits again, continue on the Golden Gate Bridge to your right, as the trail to your left is not dog-friendly. You will soon see a glimpse of the top of the bridge, and you will begin your ascent down towards the bridge through a series of switchbacks. 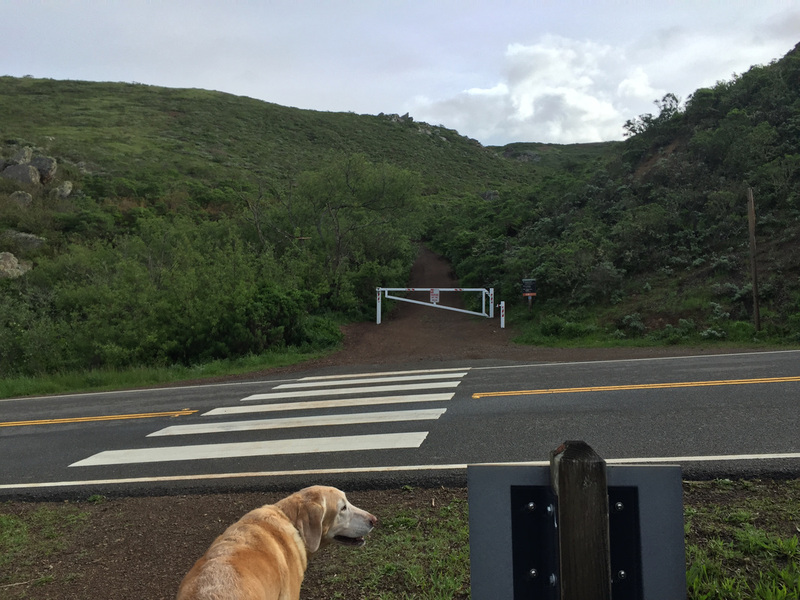 After 1.4 miles you will see Conzelman Rd. 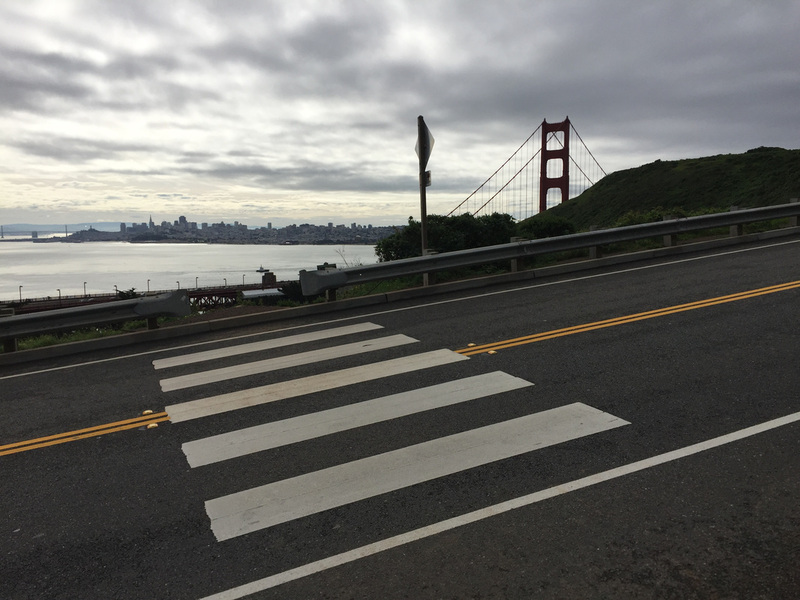 Cross the road and continue to the bridge overlook for sweeping views of the bridge. 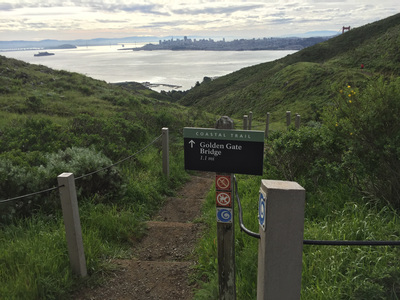 From here you can retrace your steps for a steep hike back, or for a less strenuous hike, follow the approximately 1.5 mile trail (safely blocked from traffic by a guard rail), up Conzelman Rd to where you parked. 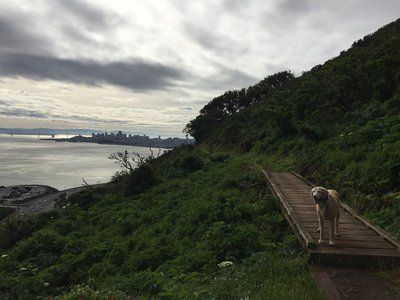 This a beautiful trail which hugs the vibrant green hillside and has views of the bridge in the background. From the parking lot, you can also take the Coastal Trail from the far end of the parking lot down to the dog-friendly Rodeo Beach. 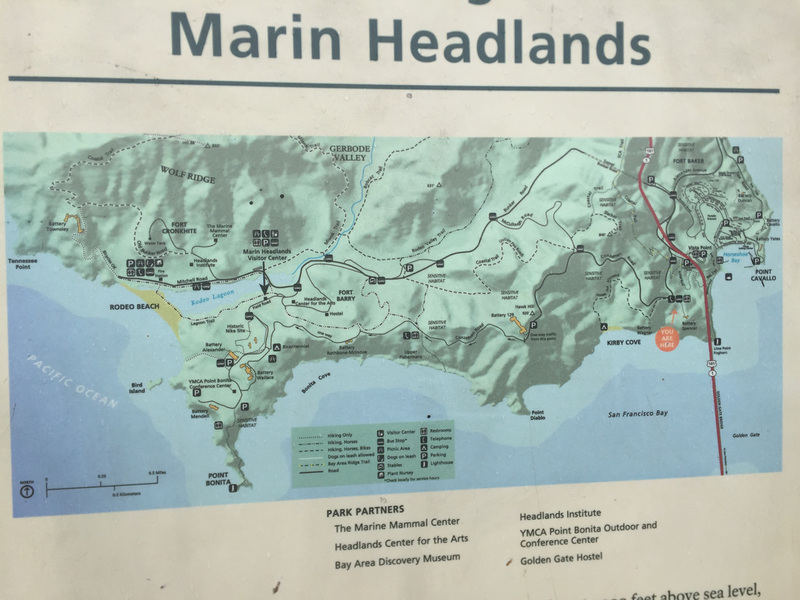 This stretch is 3.6 miles one way. 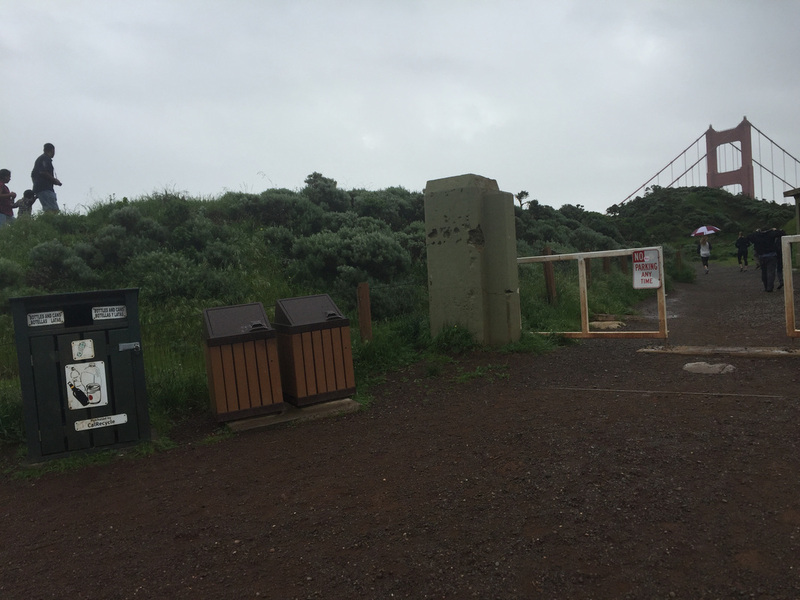 There is a garbage can and a pit toilet in the parking area. No running water.